Daniel Patrick Minogue was born on 18 July 1893 at Feakle, County Clare, Ireland, son of Patrick Minogue and his wife Elizabeth, nee McMahon. 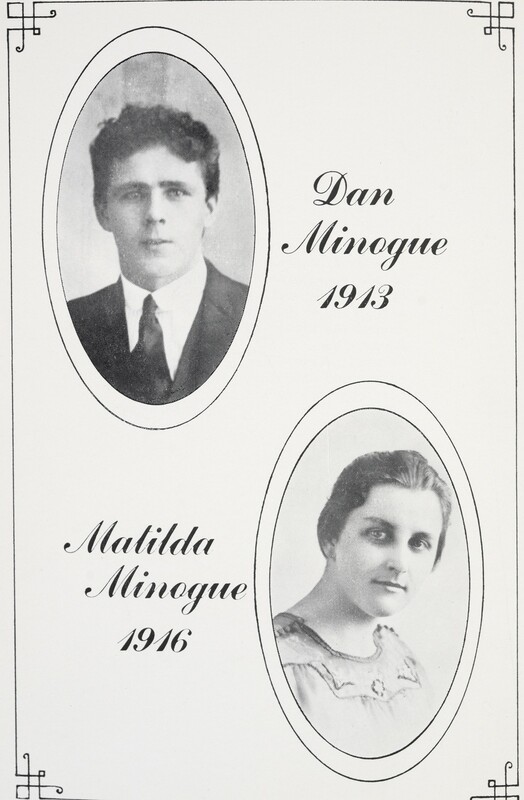 In 1924 at Sydney, he married Matilda (1895-1954), daughter of Robert and Bridget Wallace, and had one daughter Mary. He died on 7 January 1983 and was buried as a Catholic. Dan Minogue was educated at the local primary school and at Feakle National School in Ireland. He tried for work in Melbourne before arriving in Sydney and gaining employment as a shunter at Darling Harbour rail yards. He worked as a carrier of blue metal and, about 1916, bought a produce store in Crown Street. After his marriage he bought the White Horse Hotel in Surry Hills which he held for many years. He was a strong supporter of the Labor League and was prominent in the Redfern branch of the ALP. In 1966 he was an Australian delegate to the United Nations. He was keenly interested in football and cricket and was a member of the Catholic Club and the Irish National Association. In later life, he wrote an account of his life called A Rambler from Clare (1972). Minogue was associated with many charitable activities, supporting St Vincent de Paul and the Mathew Talbot Hostel for Homeless Men and Our Lady of Consolation Home for the Aged. He was an honorary citizen of Boys Town at Engadine and was instrumental in establishing a Home for the Aged at Glebe. Crescent Street in Glebe was renamed Minogue Crescent in his honour. 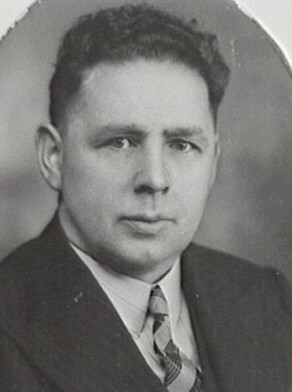 Daniel Patrick Minogue was elected ALP member of the House of Representatives for West Sydney, on 10 December 1949. He retired on 26 June 1969. Minogue was Alderman for Flinders Ward, 17 October 1938 to 1 December 1950. He was a member of the Works Committee, 1938-50, the Health and Bay-Laws Committee in 1938, the Health and Recreations Committee, 1939-50 and the National Emergency Service Special Committee, 1942-45. He was a Councillor at the Sydney County Council, 1949-50.